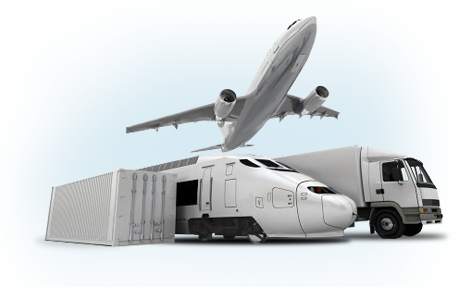 A container is a reusable transport equipment designed for container freight shipping to the point of destination by means of road, rail, and water transport. A container can be reused if its loading and installation have been done correctly. Misuse can lead to it going out of service and damage of the goods. To prevent such situations from happening, every container is given a marking. The current standard which deals with the coding, identification, and marking of containers is ISO 6346, dated 1996. The standards for international shipping containers are managed by the International Container Bureau (BIC). A distinction is drawn between compulsory and optional marks. Optional marks can be assigned at the will of the owner for easy recognition of goods. Compulsory marking must be used on all containers and is applied onto the door and other planes of the container (sidewalls, roof, bottom). check digit of one numeric digit. The owner code must be unique and registered with the BIC (either directly or through a national representative of the organization). Z - trailers and chassis. The owner code and equipment category identifier can be grouped under one term, also known as an alpha prefix. If the owner code is absent, the container cannot be identified. The registration or serial number consists of six digits. If the number has fewer than six digits, zeros are added in the beginning of the number to make a six-digit number sequence. The last digit in the container number – the check digit – is always a single-digit number. It is usually placed in a box to single it out from the rest of the numbers in the registration code. The check digit is used to verify the accuracy of the owner code, the equipment category identifier, and the registration number. If the result number of the automatic checking procedure does not correspond to the number in the check digit – no transport or freight information system will be able to process the container. The procedure has been introduced to ensure the correctness of input data of the international container shipping information systems. The checking procedure is as follows: every letter is assigned an equivalent numerical value on the basis of its position in the alphabet, beginning with 10 for the Latin letter A (11 and its multipliers are omitted). The individual digits of the registration number keep their numeric value). Every number is multiplied by 2exponent, where the value of the exponent corresponds to the position of the digit in the registration number from 0 to 9, left to right (the first digit is multiplied by 1, the second – by 2, the third – by 4, the fourth – by 8, the fifth – by 16, the sixth – by 32, the seventh – by 64, the eighth – by 64, the ninth – by 256, and the tenth – by 512). The results are summed up, after that, divided by 11, and rounded down to zero (made a whole number). The whole number is multiplied by 11. The result is subtracted from the result of the initial calculations (summation). The final difference is the check digit. If the final number is 10, the check digit becomes 0. The standard doesn’t recommend the use of serial numbers which produce a final difference of 10.
the third and the fourth character indicate the type of the container. As the last two characters a group code can be used if the subgroup is not specified by the standard. The codes of container types are presented in the table. Optional mark includes country code, weight of the container, a symbol to denote containers for air freight transportation, a sign warning of overhead electrical danger, height of the container (for containers higher than 2.6m). The country code consists of two capital letters of the Latin alphabet as stated in ISO 3166. The country implies the country of container registration, not the country of the owner or the shipping company that carries out the international transportations.